an all-but-forgotten synagogue in Rangoon, revelers at a Hanukkah celebration in an Arkansas bowling alley, a Cuban engineering professor, proud of his Jewish heritage and prouder still of his Communist ideals. 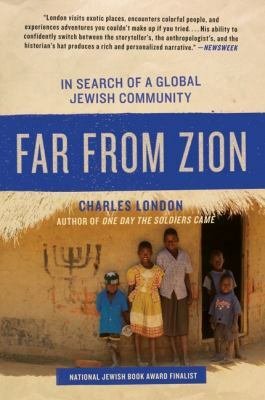 It is through their stories and many others that London examines his own identity, as he, too, struggles to come to terms with his connection to Zion. Heather Lang has a physics degree, a PhD in the grey area between biochemistry and physics, and international caps at both chess and cricket. She has a great interest in educational and coaching methods and has run after-school chess clubs for a number of years, bringing many complete beginners on to national and international level. Heather has been able to transfer many of these successful methods across to her book Head First Physics. She is also the co-author of the Babar Particle Physics Teaching Package (Manchester University Department of Physics and Astronomy, 1999) and joint first author of a 2002 Nature Immunology paper with a lot of jargon and some pretty pictures in it.